Ladybirds are a gardener's friend, preying as they do on greenfly and blackfly. 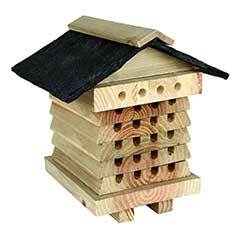 This habitat has been specially designed to provide a safe, insulated home for ladybirds and other beneficial insects. Holes have been drilled at an upward angle into the wood into a safe inner chamber, which is filled with natural material. The roof panel can be removed for inspection and cleaning of the habitat and a ground pole is provided so the tower is easy to site into lawns, flowerbeds or in a planter. 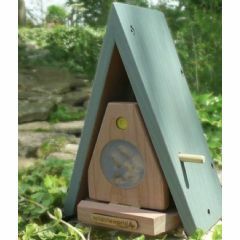 When you receive this item you will find that the ground pole is attached to the side of the house with a screw, unscrew it and put through bottom hole and screw in place at the side of the bottom square. 11cm dia, 48cm high with pole. Looks great although if I was a ladybird I would be too scared of the big plastic ones stuck on the side to go in. Not sure how many are using it but currently taken the screws out of the roof and dropping the ones in I find in the house. 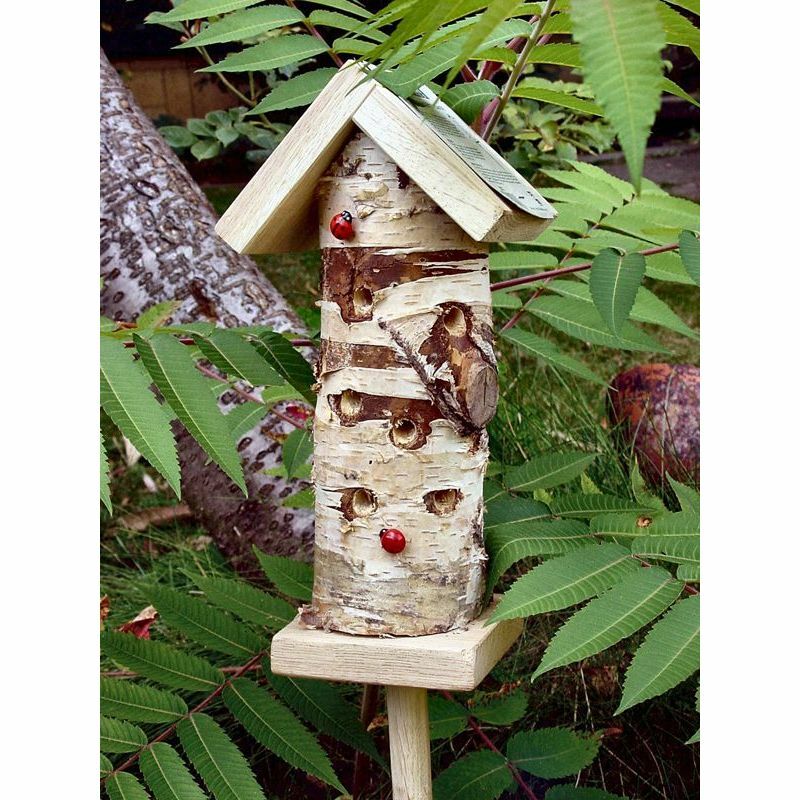 This is a well made product, has only been out in garden for a few days so awaiting some ladybirds and cannot comment on how well it works, fingers crossed...in any case it looks lovely and a bit magical amongst our border and the kids like it! 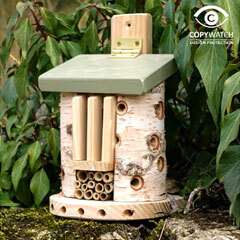 Good looking solid item hope the ladybirds will like it too! 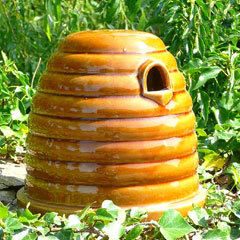 The ladybug house is fantastic and looks great in the garden at the front of the house so I want another for the back. The best bit was the unexpected made ladybugs stuck on the trunk, which I hadn't noticed. It made me laugh. All the neighbours have noticed too. 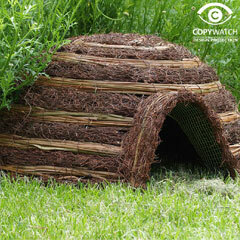 Brilliant product, well constructed and service from Greenfingers fast and efficient. Plan to buy several more as presents. No occupants as yet! Early days and looks good, my son loves to tell all his friends what it is.